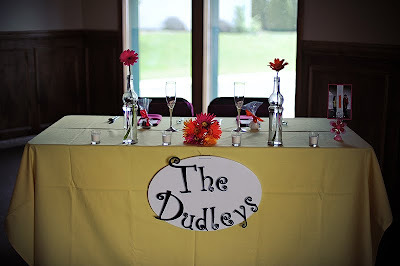 A few weeks before the wedding, my husband and I wanted to add something extra to our Sweetheart Table. 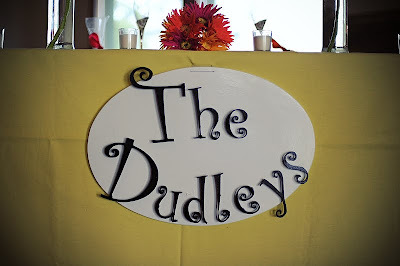 So my husband and I decided to make a plaque that would say, "The Dudleys," and hang it from our table. 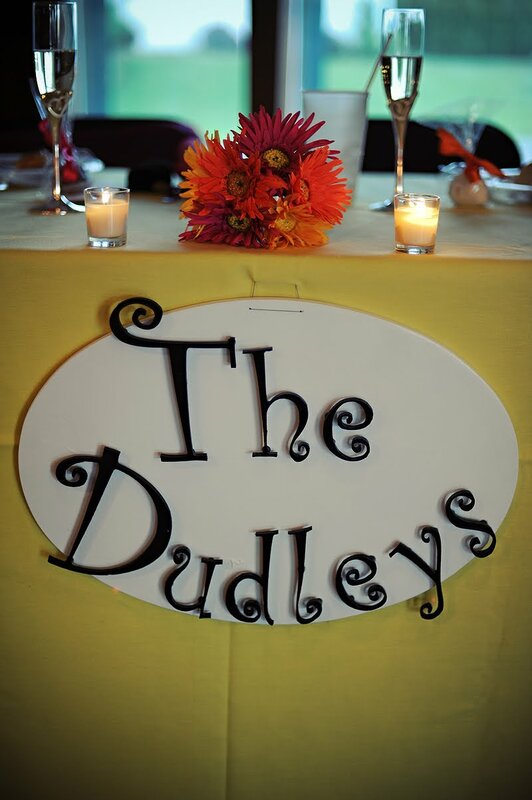 Plus, we knew once the wedding was over, we could hang the plaque up in our house as a momento. Check it out below! Wanting to complete this on your own? 1. 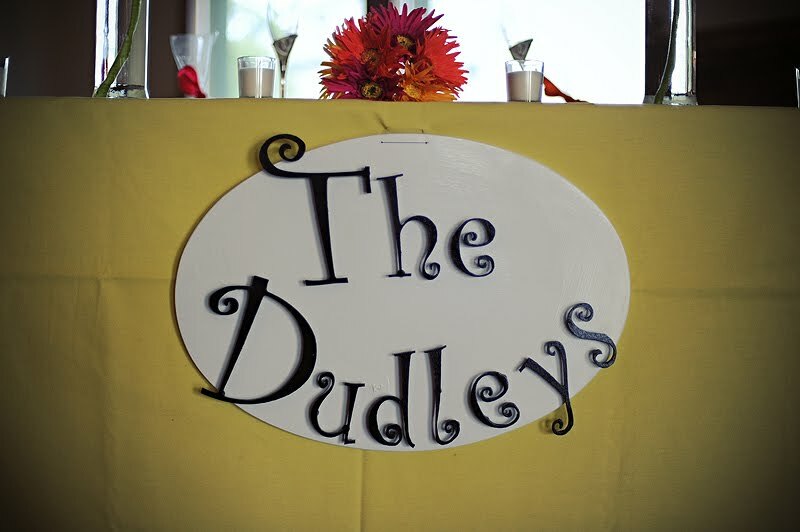 We began by first buying the individual letters to spell out our name at Hobby Lobby, along with some black spray paint. 2. After painting the letters, my husband attached the plugs (pegs) to the back of the letters with the wood glue. The plugs gave the plaque a more 3D look so that the letters didn't just rest on top of the plaque, but actually had some height. 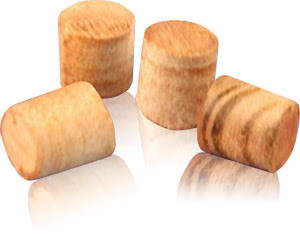 These look similar to the pegs that we used. They were about 1/2 inch tall. 3. My husband then used a jigsaw to shape the wood into the oval shape. I created a simple cardstock template on Microsoft Publisher, printed it off, cut it out and taped it together. My husband attached the template to the top of the wood and then cut the shape out. 4. He then used a high gloss white paint to paint the actual plague. 5. After the paint dried, he used the super glue to attach the letters to the plaque. 6. He drilled two small holes on the top of the plague and ran the heavy duty wire through the holes. He left enough wire so that when we attached it to our table at the reception, the wire was able to reach the legs so that we could wrap the wire around them. Ladies, if you're looking for a cute, fun, simple project for your husbands-to-be to complete, have them do this! My husband enjoyed doing it, and loves that we incorporated it into the reception. He's even happier that we have it afterwards to remind of us our wonderful wedding day!